Every laboratory has a range of centrifuge needs. NextDayScience's vast offering of centrifugation products can accommodate almost any application in the clinical and research laboratory setting. 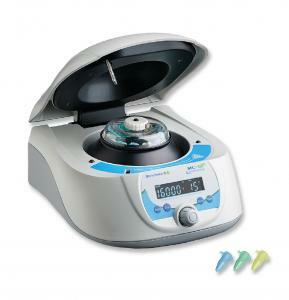 The microliter tabletop centrifuges fulfill research laboratory requirements for DNA and RNA extraction. 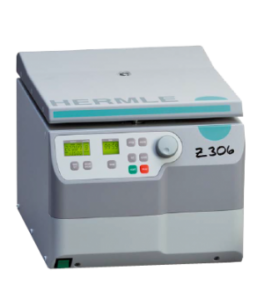 The wide variety of general purpose benchtop centrifuges anticipate almost every need for spinning microliter tubes, round-bottom tubes, conical tubes, blood tubes, urine tubes, cytology clips, and funnels and plates. Floor-standing units deliver quality performance in the high output blood banks and blood centers. See individual product descriptions for further information. 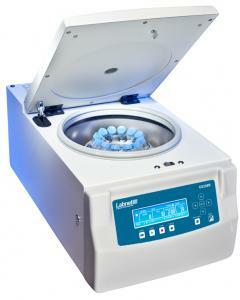 A laboratory centrifuge is an important piece of laboratory equipment, which must be chosen accordingly to the goals of everyday work and results expected to achieve. Here are some answers to frequently asked questions about centrifuges that may help you to purchase a right centrifuge. A centrifuge is a laboratory device for separating components of different densities contained in a liquid. This is a motor-driven device that spins liquid samples at high speeds. The device is found in most laboratories from academic to clinical to research and used to purify cells, subcellular organelles, viruses, proteins, and nucleic acids. Centrifuge uses the process of centrifugation and the principle of centrifugal force. Centrifugal force is a force that is felt by bodies moving in a circular motion. Centrifugation is a process which uses this force for the sedimentation of heterogeneous mixtures. A laboratory centrifuge is driven by a motor, which spins liquid samples at high speed. Centrifugal force causes the heavier components to move to one part of the container, leaving the lighter substances in another. Laboratory centrifuges work by the sedimentation principle, where the centripetal acceleration is used to separate substances of greater and lesser density. 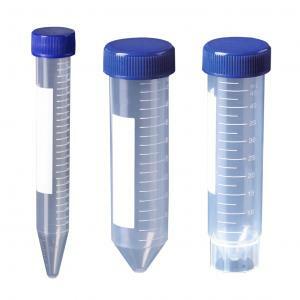 When a suspension in a centrifuge tube is centrifuged, the solids settle at the bottom of the centrifuge tube; having a tapered wall helps to concentrate the solids, making it easier to decant the supernatant solution, leaving the solids. It’s a very important laboratory equipment. What types of centrifuges exist? There are various types of centrifuges, depending on the size and the sample capacity. From the large floor models to the micro-centrifuge, there are many varieties available. There are multiple types of a centrifuge, which can be classified by intended use or by rotor design. Centrifuges vary widely in speed and capacity. They usually comprise a rotor containing two, four, six, or much more numbered wells within which centrifuge tubes may be placed. Where are centrifuges used for? Centrifuges are usually used in laboratories, hospitals or industry to extract suspended material from a medium. Commonly used to separate solids from fluid suspension mediums, they are an important instrument in medical laboratories for separating plasma or serum from blood samples. Laboratory centrifuges are primarily used for testing liquids and substances such as blood in medical and clinical trials. Also, they are used in chemistry, biology, and biochemistry for isolating and separating solids from liquids in a suspension. The solids can be insoluble compounds, biomolecules, cell organelles, or whole cells. What should I look for in a centrifuge? Apart from the size, capacity, and speed, there are other features to consider: range of accessories, such as different rotors, features of the control panel, programming functions, and safety features. What can I expect to pay for a centrifuge? The cost of centrifuges can vary depends on size, capacity and other important characteristics of the device. As an important laboratory device, a centrifuge can cost thousands of dollars. Different suppliers can offer various prices, and it is important to find a reputable one, so the device you are buying will answer your needs and inquiries. When choosing a right centrifuge for your work, you might have a lot of questions. Qualified customer service staff will make sure you’ll get all technical specifications in details to understand which apparatus you might choose.